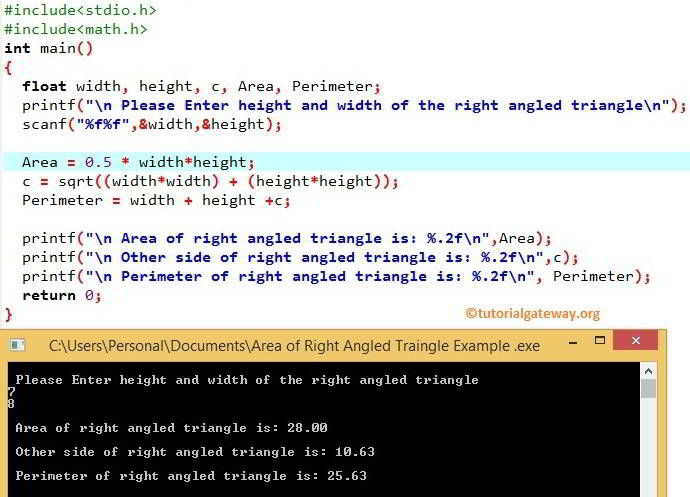 This C Program allows the user to enter width and height of the Right Angled Triangle. Using those values we will calculate the Area and perimeter of the Right Angled Triangle. Following statements will allow the User to enter the Width and Height of a right-angled triangle.